After watching American Made, I’m convinced Tom Cruise needs to work with Doug Liman way more often. Which isn’t much of a reach, as the actor/director combo has the sci-fi adventure Luna Park on the slate in the near future. 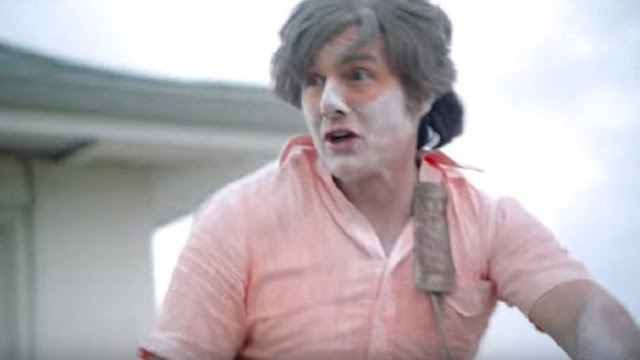 But between this and Edge of Tomorrow, or whatever title you prefer, Cruise—who I maintain is the last great traditional movie star we have left—hasn’t been this good in years. 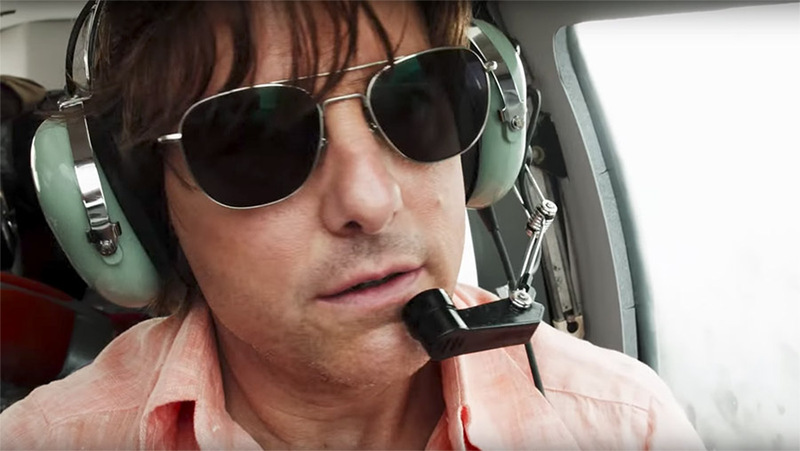 Sure, Cruise has a slew of Mission: Impossible movies, but he’s been doing that since 1996 and can play Ethan Hunt in his sleep. And the first Jack Reacher is fine, but it’s not a particularly huge stretch. 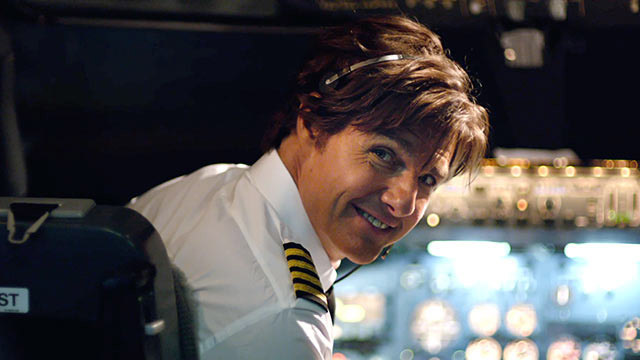 The same goes for Oblivion—in both he primarily just plays Tom Cruise. I’m one of the few who enjoys his turn in Rock of Ages, though I freely admit he’s super hammy. He tried to play against type in The Mummy, but the less said about that debacle the better. 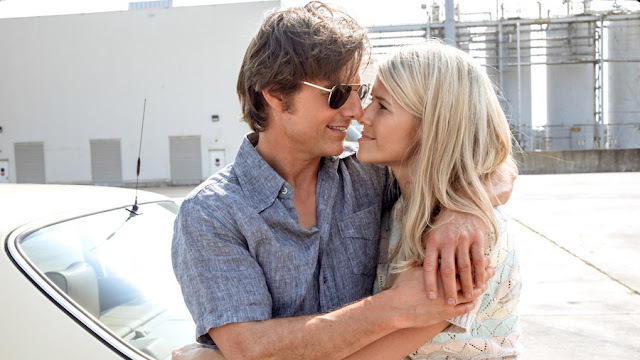 But his turn as the real-life Barry Seal in American Made reminds us all that, oh yeah, Tom Cruise can actually do things besides play a thinly-veiled version of himself. Hell, I don’t even think he runs once during this movie! 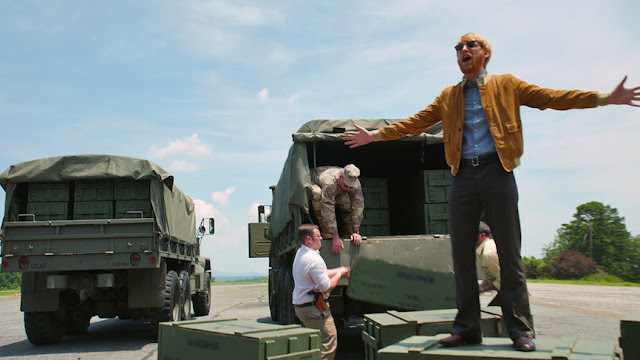 A TWA pilot in the late 1970s, a CIA agent (Domhnall Gleeson) recruits the bored, down-home flyboy for clandestine recon missions in Central America. He goes on to become embroiled with the Contras in Nicaragua, Manuel Noriega, Pablo Escobar and the Medellin Cartel in Columbia, and CIA black ops in the region. And he makes millions and millions of dollars in the process. It’s rock and roll and good times for a while, but true to form, it can’t last forever. Cruise plays Barry with an everyman, aww-shucks sensibility. He’s just a guy who wants to provide for his wife, Lucy (Sarah Wright), and family and have a few laughs along the way. When given one dangerous, impossible task after another, he just shrugs and says, “I’m the gringo who delivers.” Barry’s either the smartest or dumbest guy in the room at any given moment, and that’s part of the enjoyment. He’s giddy at the prospect of doing somethingmemorable, even if it’s ill-advised, and makes the audience feel the same sensation. Gleeson shines in his moments as an affable but chilling and shadowy CIA spook—one of his early encounters with Barry, he has an almost throwaway line that’s so ruthless it made me shiver. But at the same time, he’s also just a middle-management stooge toiling away in a generic cubicle farm, trying to make a name for himself and impress the boss. In true Hollywood form, the 55-year-old Cruise is married to the 33-year-old Wright. And she’s fine, but doesn’t have much to do. Lucy basically boils down to the stock harried wife who starts out in the dark, gets on board eventually once the money and luxury roll in, and ultimately lives to regret her choices later on. She’s American Made’s Lorraine Bracco or Penelope Cruz. It’s nothing we haven’t seen before. Caleb Landry Jones shows up late in the game as Barry’s redneck brother-in-law, JB. He’s the type of character who, even if the voiceover didn’t directly state, you can tell he’s going to cause problems the second you see him. Jesse Plemons show up sporadically as a small-town sheriff who does almost nothing—it’s hard to look at him and not think he has more scenes sitting on the floor of an editing bay somewhere. And by and large, the rest of the supporting players have even less to do. Barry has a few crazy flying buddies who barely have names; Escobar, Ochoa, Ledher, and the rest of the Medellin Cartel are stock Latin American criminal types; and the same goes for Oliver North and other government officials. They’re present and accounted for because they’re part of the story, but aren’t noteworthy in any way. Liman and cinematographer Cesar Charlone (City of God) film American Made in a way that will remind many of the director’s Bourne connections. And not without reason. It’s not exactly the same aesthetic, but there’s a similar shaky, handheld, verite style in play. More than anything, it serves to place the viewer in the midst of the action like a fly on the wall, which ups the engagement. And coupled with Barry’s good-natured joviality, it feels a lot like hanging out with a buddy, having wacky adventures. Which provides a significant portion of the film’s charm.